What does one say when , at the age of sixty-eight, he runs into a childhood friend with whom he had spent virtually every day of his life from the first to the seventh grade of elementary school? People were drifting into the board room; I was chatting with early comers; about fifteen minutes remained before the start of the lecture, one I was to present on gratefulness-"I thank, therefore I am." It was a cold evening, the streets of Toronto were blanketed in snow; it continued to be a harsh winter, even for Canadian standards. I felt like I was back home in Montreal, my place of birth and wonderful childhood years. As I mixed with the audience , I looked up and my eyes locked onto the face of someone who had just entered the room. "Arthur E.!" His name darted out from under layers of memory.It was the same face -only now it had balded with whitened tufts of hair on either side, skin darkened and subdued by the passing years. We embraced, and for a fleeting moment sixty years of separation vanished and I touched a time of carefree fun and mischief- filled moments. We quickly caught up with one another's lives. A mutual childhood friend was mentioned ; a proud declaration of his being grandfather to fourteen grandchildren ; his living across the street from the synagogue, the location of that evening's lecture . remembered Arthur's birthday; it was and always will be , the day after mine. The lecture was over-I tried to share my belief that gratefulness is a vital path on our spiritual journeys through life. We said goodbye. I thought: Could the abandon of insouciant bike riding, ice skating on frozen ponds, furtive smoking of first cigarettes in back lanes, simply hanging out, be resurrected? Even if not, I am grateful for the moment of reconnected friendship, an oasis of refreshment along the often dry and dusty trek through the wilderness of life. And so I recite, with abiding gratitude: "Blessed be He who revives the dead." Amen. Yesterday was "step-up" day at the Solomon Schechter Conservative day school at which I teach prayer.Younger classes had the opportunity of seeing what it's like to be an older student in a more advanced class. The daily prayer service was visited by the Kindergarten. The children sat in the first row and were immediately struck by something they had never seen before and didn't understand. I wear the phylacteries, "tefillin," during prayer-a black leather box on my left bicep held in place by a leather strap wrapped along my arm seven times, and another black leather box which rests on one's forehead. Each box contains Scriptural passages inscribed on parchment similar to how a Torah scroll is written. I proceeded to explain the purpose and function of these objects of prayer, and in so doing held up my hand and displayed the letter "shin" that was formed with the final piece of strap around the middle of my hand. The reason for this letter formation is that a name for God-"SHADDAI"-begins with a "shin," and tefillin makes more tangible the presence of God during prayer. Rather than revealing the reason, I asked the class for the answer instead. " What does the "shin" stand for I asked? Curiously , it was the kindergarten children whose hands immediately shot up in the air. With bouyant self-assurance one child yelled out: "Sheket"-which means,"Quiet." Students and teachers alike burst into good-natured laughter. "Shema" was another answer, approaching the correct one in association and meaning. The "shema" prayer declares the unity of God; this little boy by accident or instinct understood the "shema's" importance. Another kindergarten voice confidently called out:"Shem, " name which indeed refers to God in ordinary parlance. Finally the funniest response of all. "Shokolad"-chocolate in Hebrew. This time the laughter exploded into an uncontrollable roar. After some minutes we settled down and an older student provided the correct answer-"shaddai." that the participation that morning was at its best. 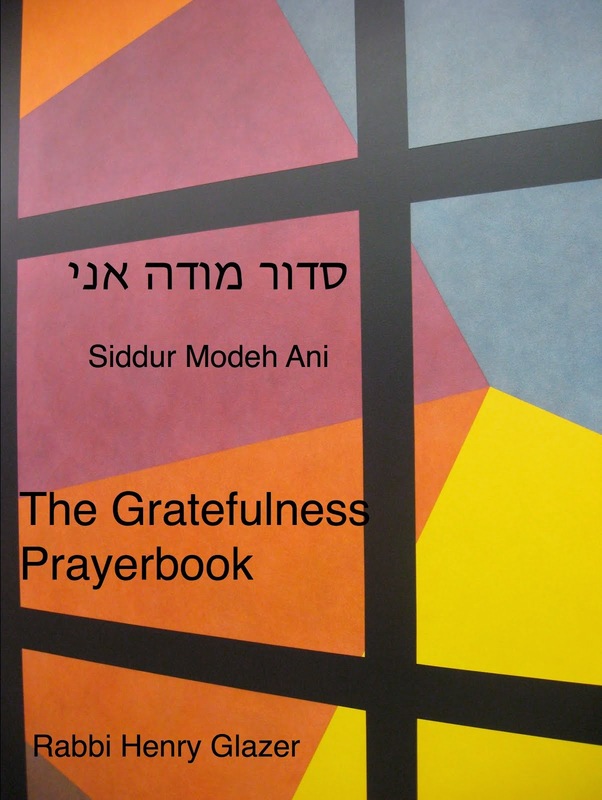 As we prayed I thought: The "shin" does embrace many things-The "sheket," the quiet deep within us necessary for attentive prayer; the "shema" insists on our listening with our hearts to the sacred words of Torah and Tefillah, words of the mind and the heart; the "Name,"an identity of God that hopefully filters into our own sense of self, our own identities as having been created in God's image; and finally "shokolad"-chocolate.What a superbly sweet and delectable metaphor for God! "Out of the mouths of babes"-I was so grateful for those few moments of light-hearted prayer. Never again will my daily practice of donning the tefillin be the same. The "shin"will now become a sign of the innocence of children who can show adults a purer and simpler way to the divine. Thank you , children, for your magical gift of human spontaneity and simplicity. I looked up from my prayer book. Alan was standing over me, a copy of the Humash, the Five Books of Moses , in his hands , pointing to a particular segment in that morning's Torah Reading. "Here's a good text to use for your speech to the G 's on their 60th wedding anniversary. " I was a bit taken aback. He then quickly pointed out that because of the celebrant's knowledge of technology,-he was an electrical engineer - the audio equipment in the sanctuary was of the highest quality. He added one or two other pieces of information about Mr'.G's special contibutions to the religious life of the community. A fleeting thought of "what hutzpah"(nerve, audacity) ran through my mind. After all, I was the rabbi and could very well compose my own competent and appropriate message on an occasion such as this. As a matter of fact, I had prepared something that I considered most apt and meaningful , also based on the Torah reading ,which would be most relevant to the specialness of this event of personal celebration. I immediately found myself reviewing the suggested passage and realized that indeed it lent itself wonderfully to a clearer and less convoluted charge than the one I had considered independently. I delivered my words based on Alan's recommendation, interpreting them in my own style and thinking process. The words were enthusiastically received. Musing on what had transpired, it occurred to me that had this happened years ago, it would have unfolded as an experience of personal resentment and insult. In my inexperience and immaturity, my defensiveness would have arisen, and in all likelihood, even if I would not have demonstrated my displeasure at such impudent interference, I would have rejected the proposal, proceeded to stubbornly share my own thoughts and perhaps have not been as successful in conveying a helpful sense of congratulations and gratefulness for the blessing of this most unusual personal experience. Gratefully, yesterday I had no such need to repel outside recommendations in order to preserve a fragile sense of self, a brittle rabbinic ego. I thanked Alan and recognized again the extraordinary gift of learning from everyone, how my most meaningful lessons are gained from the wisdom and knowledge of students and peers. Alone ,we can never grow in wisdom, knowledge and insight . Community is indispensable for the expansion of our mind and hearts. It is no accident that the Yeshiva experience is grounded in the presence of 'havruta,' a study group of peers who argue, debate, disagree, and support one another in the sacred task of grasping for a glimpse of godliness in this world. Thank you, each and every student who has ever enriched my life and learning with their knowledge and nurturance. It's snowing outside. Driving is dangerous and traffic moves excruciatingly slowly. Getting from one place to the next takes longer, and takes more care and attention.The radio or CD player grows in importance, and we find ourselves more easily lost in thought, musing about one thing or another, perhaps increasingly impatient and agitated as the flow of vehicles crawls painstakingly slowly along slippery streets and roads. Many consider these extra minutes as a waste of time or view them as"time to kill." It is said that Abraham Joshua Heschel, outstanding Jewish thinker of the 20th century, out of sympathy for the frailties of humanity had an usually high threshold for human imperfection. However, one aspect of human behavior for which he had no patience whatsoever was the inclination of many to declare that they "had time to kill." As one who understood time as the essence of life, Heschel regarded this activity as an act of "spiritual homicide." Indeed, to use time wisely or usefully when caught up in vehicular traffic is no easy task. I tend to ruminate about ideas that are abstract in nature-the meaning of life, the nature of God, human suffering , the apparent indifference of nature and the need for a universe that cares and has consequences. I too have my share of needless worry and obsessiveness. When challenged by time that has no structure of work or scheduled activity, I have begun to consider all those things that are reasons for being grateful. My car, while somewhat used with almost 200,000 miles, is an enormous benefit to my life. (It is also fully paid for.) My family and all their moments of goodness and love; people like me, behind the wheel of their cars, who drive in an orderly and competent manner to allow all of us to arrive at our destinations safely; the white softness of snow dropping from an opaque sky , draping the earth with thick, fluffy blankets of protective beneficence, reminds me of the warmth and carefree fun that envelop children as they frolic under warm covers on a cold wintry day; each snow flake, a jewel in the crown of nature's nobility. Indeed-how can one kill time when time is the substance of our lives, the gift of being , of living, of loving and laughter. The next time we encounter the temporary void of time begging to be spent with a sense of blessing, why not consider all the reasons for being grateful-you may discover much delight on the trudging way to your desired destination. 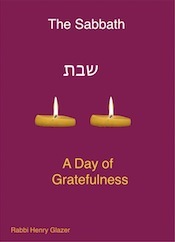 Have a most grateful Shabbat. The Torah reading this week consists of three segments-One, matters concerning the sanctuary, two, the observance of the Sabbath and three, the well-known Golden Calf episode. The position of the Sabbath between these divisions has been commented upon in regards to the relationship of the Sabbath to the Sanctuary. That is, its proximity suggests the source for the activities prohibited on the Sabbath, namely all those forms of work that were necessary for the construction of the Sanctuary. Moreover, this juxtaposition of Sabbath and Sanctuary has been interpreted to mean that the sanctity of time is of greater spiritual significance than the sanctity of space. I would like to comment on the gift of the Sabbath as a prologue to the incident of the Golden Calf. Many are the interpretations explaining the puzzlement associated with the primal violation of idolatry by a community of Israelites in the aftermath of personally witnessing God’s miracles. How do we understand such a psychological development? What factors contributed to this act of utter disregard and betrayal? Gripped by fear and panic, the people descend into idolatry, into the desperate clutching at some object of reassurance and security, a tangible object that will quell their fears. Similar to a child who holds on to a transitional object as a source of security in the absence of a parent or guardian, so too did Israel, in their spiritual immaturity and childhood, grasp on to a “transitional object,” unable to withstand the anxiety often associated with an inner abstract sense of faith and commitment. Fear leads to faithlessness, to ingratitude, to murmuring and complaint. Trust vanishes; in its place is fearful rage. The Sabbath is conveyed to Israel as an expression of God’s hope that Israel will learn gratefulness, trust and self-reliance. When the text enjoins the observance of the Sabbath, it declares:”Ach et Shabbtotai tishmoroo-” You shall only keep (Exodus 31:13.) Why the word “ach”, only? The Torah commentary of the Sefat Emet, the Gerer Rebbe, comments as follows:” Have no desire or longing for anything else in this world-only for God, who is the root of human life.” Sabbath is a time of gratefulness, the very antithesis of fear. All is provided, there is no care, worry or concern for one’s well-being, only utter faith in God and unconditional gratefulness for the fullness of life and its endless blessings. The burden of worldly concerns is removed from our shoulders and minds. If we observe the Sabbath with the appropriate frame of mind then fear disappears, all possibilities of idolatry are removed and we find ourselves in intimate relationship with the divine source of the universe. Israel in its fear was incapable of celebrating Shabbat. Therefore, in the hysteria of the moment even Aaron the High Priest in his fear and vulnerability, declared-“Tomorrow is a “chag”, a festival unto the Lord,”(Exodus 32:5), the god they fashioned out of fear, not the God of Israel. According to my calculation, the day on which Aaron proclaimed a “Festival unto God” could have been Shabbat. We are informed “ On the seventh day He called to Moses from the midst of the cloud…Moses went inside the cloud and ascended the mountain …he remained on the mountain for forty days and forty nights.”(Exodus 24:16,18). Moses is delayed in his return. One could assume that the forty days passed without Moses’ return, leading to Israel’s anxiety, so that on the forty first day they demanded: “Come, make us a god.. “(Exodus 32:1). Following the willingness of Aaron and the people to fashion a golden calf, Aaron announces:” Tomorrow shall bee a feast of the Lord.”(Exodus 32:5). The next day, the forty-second day, six weeks following Moses ascent, which began on the seventh day, was in fact Shabbat. What the people transform into a festival of fear is the Sabbath day, a day of faith and gratefulness, whose injunction and meaning were stipulated immediately prior to this egregious incident. 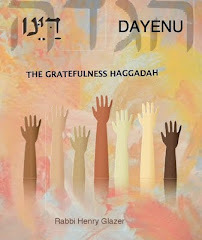 Thus, Israel not only commits idolatry but also compounds the violation by desecrating the meaning and purpose of the Shabbat as a sign between Israel and God of a relationship based on an act of giving and love on the part of God and the anticipated reciprocal response of Israel in the form of grateful praise and thanksgiving. Not long ago, upon hearing some comments about gratefulness and its spiritual and emotional importance, a woman asked me a thought- provoking question: " If one is grateful or satisfied, is there room for ambition, for the need to try and change things? Why work for anything if one feels satisfied with what one has?" In other words, does gratefulness lead to passivity? If we were all grateful, would this not mean that we would be satisfied with the status quo and no progress or improvement would be made? Let us consider the moral implications of gratefulness. When one is genuinely grateful for receiving a gift, what one receives is treasured and cared for with a sense of abiding concern. Satisfaction without a sense of stewardship for what one is graced with is an expression of selfishness and not gratefulness. To be grateful implies the response of responsibility for the gift one has been blessed with. Recognizing all of life as a gift requires an exceptionally acute awareness of responsibility for the preservation and cultivation of any and all aspects of that which increases and enriches life in all its myriad forms. If given a plant, do we not understand that our gratefulness is a reflection of the preciousness of the object summoning us to tend to the plant with an on-going sense of grateful responsibility and care? We are informed by the early narrative of Genesis that Adam was placed in the Garden of Eden " to till it and to tend it. "Taking the world and human existence for granted is to be blind not only to life's wonders but to the moral obligations of bettering and improving life and the world around us, our individual gardens and those shared by all of us. An attitude of entitlement leads to inaction; a perspective of life as a matter of luck or chance is likewise one that does not promote any individual response of active concern and involvement. Only gratefulness generates an attitude of genuine caring and a concomitant commitment to the process of continuous tending of the garden of life, in all the splendor of its lush and abundant growth. The Torah reading this Shabbat,"Tetzaveh," 0pens with the requirement to establish an Eternal or perpetual light above the Ark of the Covenant. This light is designed to reflect the glow of God's presence in the unfolding of life's marvels and mysteries. Only if we persist in kindling the lamp of gratefulness will the dark corners of our lives be illuminated to reveal their authentic beauty and blessing. The term, righteous gentile, is usually and rightfully reserved for a hero, one who had risked her/his life and the lives of loved ones in order to rescue Jews from certain death during the horrors of the Holocaust. So grateful are the Jewish people for these courageous souls that a special orchard has been planted at Yad V'Shem, the Holocaust memorial and museum in Jerusalem, Israel, as a place of perpetual memory and honor. Without any intention of demeaning the sacred memories and remarkable efforts of these extraordinary/ordinary people, I would like to consider the spiritual status of a gentile our synagogue was privileged to listen to and engage with during a two part series dealing with the similarities and differences between Judaism and Christianity. Phil is a devoted Baptist who attends church regularly, teaches Sunday school, provides lay leadership to his congregation and is never without his Bible. Each Saturday morning, however, Phil takes his seat alongside the members of Kol Ami synagogue in Annapolis, Maryland. He devotedly follows the Hebrew service by reading the English translation and has learned to enthusiastically chant the Hebrew melodies of popular Hebrew prayers. As a student in my Bible class, he has been an invaluable asset to the depth and range of our studies and conversations. Soft-spoken and of gentle manner, Phil requested the opportunity to address our congregation on the topic of the relationship between Christianity and Judaism. Frankly, my visceral response was one of discomfort , one of a gnawing suspicion of his motives and intentions. "He's a lovely man," I thought. " But, could I trust him? After all, he wouldn't be the first very nice gentile who wished to convert the Jews? Was he a disguised Jew for Jesus?" The fear was momentary, fleeting , and we proceeded to make the necessary arrangements for his presentation. Today I am grateful to this sincere and loving man who not only educated my congregation about Christianity but in some most enlightening way conveyed how central faith and religion are to the experience and challenge of being Jewish. As a man in search of God, he was witness to a spiritual process that is open to all human beings, especially Jews. His words were not only scholarly and the product of many hours of careful study and examination, but they reflected a genuine and open hearted love for the Jewish people and for the the faith of Judaism.He reinforced my belief in the capacity of differing faiths to engage in a worthwhile and spiritually meaningful dialogue and conversation as long as the foundation of such discussion was one of honest mutual respect , open mindedness and humility. Phil enriched our congregation, and added a touch of sanctity to the holiness of the Sabbath, the day on which he shared his understanding and love of God and the Jewish people. Did Phil take a risk that would endanger his life, and as such earn him the distinction of "righteous gentile?" Of course not. But he did stick out his neck , or rather his soul, in exposing his innermost thoughts and feelings to a group of people who adamantly disagreed with his core belief and commitment. To say the least, this kind of encounter had the makings of intimidation and difficulty. And so I would like to consider Phil a righteous gentile for our time, one whose love for our people and willingness to share and be part of our community, on our terms, is more than enough reason for a deep sense of gratefulness. Thank you, Phil. I am grateful for the Kiddush conversation of last Shabbat with a college student who had visited my website. 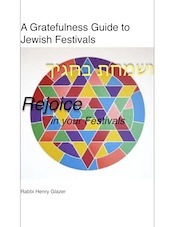 Bright, lovely and quite Jewishly committed, a teacher in our religious school, she commented:" It was interesting to read how you see the world from that perspective (of gratefulness.)" I responded appreciatively adding, " I guess that it is like wearing glasses of a certain kind that helps us see what is around us more clearly and sharply." Walking home a short time later, I ruminated on this eye glass metaphor for the perspective of gratefulness. Was it, I asked, a question of seeing the world with rose colored glasses, and as such, getting a distorted view of life? 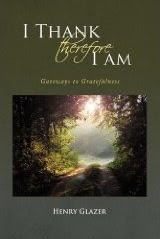 Or in fact, was gratefulness a lens that conferred greater spiritual and psychological clarity to our vision of things? I believe that for those of us who are far-sighted, for whom the immediate and nearby is fuzzy and distorted, that is, the multitude of gifts that daily surround us are not acknowledged or appreciated, with the sharpened vision of gratefulness, the soul gains a fuller and keener awareness of that which is close-by and all its potential richness and blessing. If we are near-sighted, cannot the focus of gratefulness help dissipate the fog of fear that so often hovers opaquely over our image of the future,and our ability to see that which is yet far away , beyond our grasp? Looking through a glass darkly is viewing life from the perspective of determinism, even despair. Tomorrow is, at best, a time already destined, at worst, a time of terror. Our sight of the faraway is blurred not only by distance but by the narrowness of our heart's ability to see life lovingly and gratefully. Does gratefulness blind me to the reality of life's evils, absurdities, cruelty and unfairness? Does the lens of grateful thankfulness lend an aura of fantasy and unreality to the world around us? Sadly we seem to spot the sordid and the sorrowful without any glasses of any kind. Our vision of the negative in life is usually better than twenty-twenty. We need a different sort of clarity, one that can come into view when we place the eye glasses of gratefulness over our hearts and souls. Cultivation of gratefulness, through conscious activity of prayer and meditation, can help us polish our sight of the sacred, our vision of the beneficent and the good in life. "Taste and see, how good is the Lord." The Psalmist understood centuries ago the nature of looking at everything from the angle of gratefulness and thereby recognizing the goodness of all things. Perhaps its time to consider a change of prescription for new glasses of gratefulness?